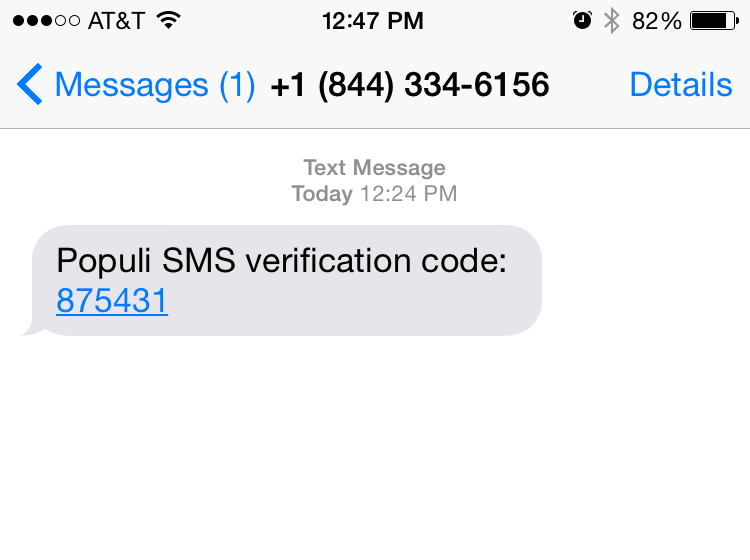 Your school can use Populi to send you notifications via text message and email. To receive these notifications, you need to have a verified text notification number and email address. Of these two, the more important is the text notification number, which your school may use to send emergency notifications and login approval passcodes. The first time you log in, you'll be asked to enter a mobile number as part of the login process. If your school requires you to use login approval passcodes, you'll be given the option to enter a mobile phone number the next time you log in. When you log in to Populi, a yellow banner will offer to let you set one up right then and there. Just enter your number, submit the verification code when it arrives, and you're good to go. If you no longer use an old texting number, you can request that someone at your school send you a reset text number email. You can set one up in your personal settings. This article covers that method. Click your name in the black bar in the upper right of the screen (near the Help link). In your Notifications view, you can enter either a mobile number, an email address, or both. If entering a text notification number, enter your mobile number and click Send Verification Code. After entering notification information, you'll need to enter verification codes to finish the setup. Within a couple minutes (usually just a few seconds if you have decent cell coverage), you'll receive a text message with your six-digit verification code and/or an email with a verification link. Text: Go back to your personal settings, enter the text verification code, and click Submit Verification Code. Email: When you receive the email, click the link to verify your address. You can also stop receiving text notifications by replying to any text message from your school with "STOP".